† There are two types of the handstamped surcharge: Type I "x 60 x " (and two varieties of this, differentiatedby width); and Type II "x. 60 .x". ‡ In Gibbons, Type 1 is with the dots and no mention is made of perforations. It is difficult to match the Scott and Gibbons listings. Originally (C14th) a kingdom, from then until C19th, it was controlled by Turkey and Persia. The Persian portion was annexed to Russia in 1828 and some of the Turkish portion in 1878. 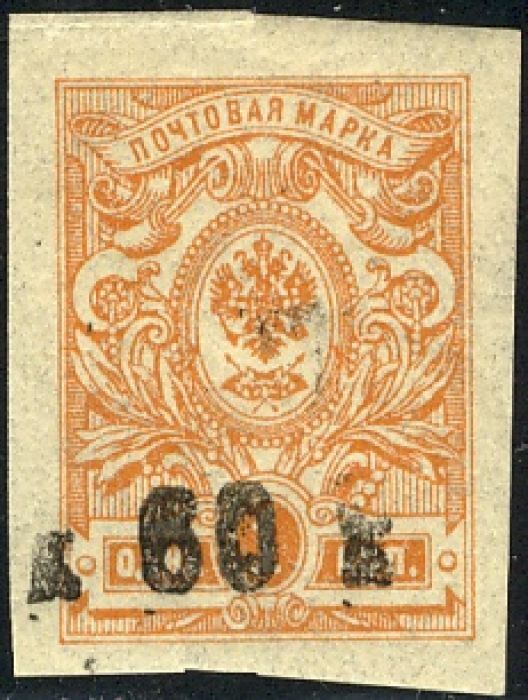 In May 1918 Armenia declared independence, but several areas remained in dispute, notably Batum, under British occupation and issuing stamps. In November 1920 Armenia was declared a Soviet Socialist Republic: again, it is difficult to match the Scott and Gibbons listings. 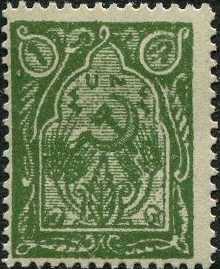 In 1922 it joined briefly with Azerbaijan and Georgia to form the Transcaucasian Federation of Soviet Republics (TFR), for which stamps at first continued to be issued for its contituents, followed by general issues. The TFR was reabsorbed into the USSR in 1923. 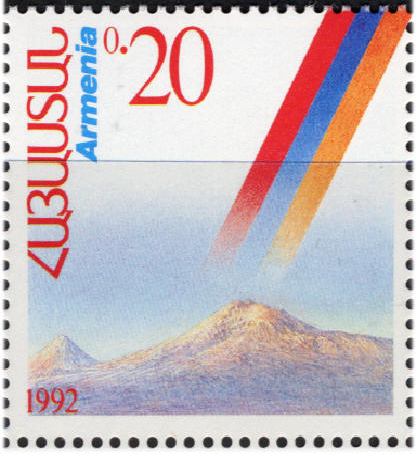 In September 1991, Armenia again declared independence and issued stamps in 1992. The stamp identified by Gibbons as the first under TFR (SG187) is described by Scott as being "issused for postal tax purposes": Gibbons calls the image a "common crane", Scott a "goose". 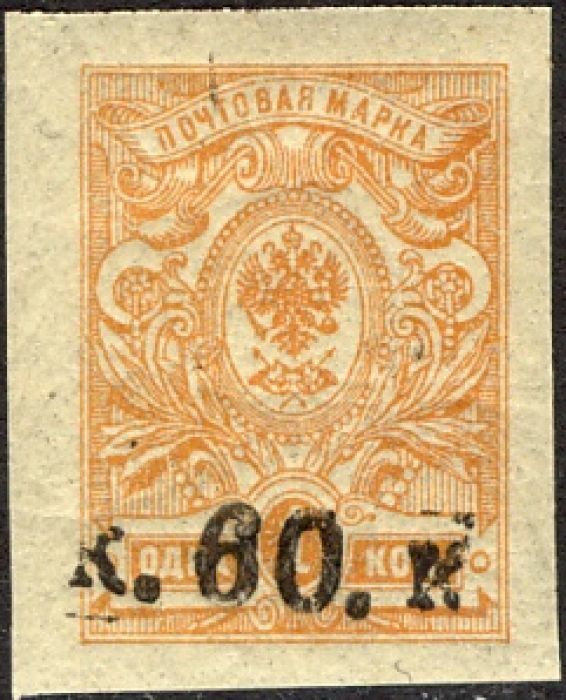 Scott's 1921 Sc278 for the Republic is only shown in Gibbons as overprinted for TFR (Sc360-61, SG197-8). There are no occupation stamps issued solely for Armenia. Sources: ScC, SGP10 , SYB . Image from David Olson, NB, hourmo.eu.